A perfect body is known to be contoured nicely and should have the correct curves. The figure should appear elegant. The size and shape of the buttocks are of immense significance in this respect. It has been observed that many women are lacking in this respect. The procedure of buttock enhancement is quite popular by several women who want to look attractive. Patients of all body types can choose body contouring procedures. The enhancement of buttocks is an efficient body sculpting procedure that proves beneficial to those who possess disproportionate buttocks. It is considered a safe procedure accessible nowadays to meet the body contouring needs of men and women. Patients who undergo the buttock enhancement procedure can recover quickly. The cosmetic procedure accessible today can enhance your natural curves. The body sculpting procedure has given a new hope for many people who have flat or badly developed buttocks. Buttock enhancement surgery is the most effective way to get rounded buttocks. The cosmetic surgery procedure is becoming immensely popular in the United States of America, particularly among women. Buttock enhancement is a procedure which adds volume to your buttocks and creates a nicely proportioned body. The ones who want to undergo the surgical procedure can opt for implants or fat injections. MLF 2 product is a unique treatment on offer. It has been introduced into the United Kingdom. It is the finest treatment to enhance the buttocks or breasts in a safe and natural manner. HYAcorp can enhance the shape of breasts, buttocks and other body regions. HYAcorp is an innovative body shaping product prepared from crosslinked hyaluronic acid for shaping breasts, calves, and buttocks. This treatment is least invasive and least downtime. Hyacorp is accessible two varied formulations. The range of the product is – Hyacorp MLF1 and Hyacorp MLF2. The body filler has been designed to suit the personal requirements. MLF2 consists of a thicker gel. 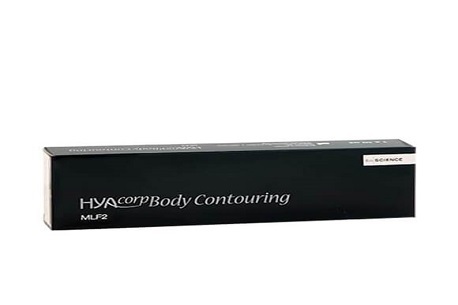 Hyacorp MLF1 has been made for contouring small regions of the body like hands, calves whereas MLF2 is for producing best results in body contouring for breast and buttock. Patients all over the world are making use of aesthetic treatments to fight the aging indicators. They adopt these treatments for the restoration of lost volume in the face. Nowadays similar outcomes can be visible to the whole body in the form of non-surgical body shaping treatment which can regenerate body contours with the hyaluronic acid dermal fillers. During the past few years, men and women opting to improve their body contour in a natural manner have been rising for some years. Many men are using procedures such as calves and buttock re-shaping making use of body fillers. Hyacorp has got the approval for the use of volume restoration and shaping the body surfaces. The surgeons view the benefits of utilizing HYACorp for the shaping of the breasts. For the production of Hyacorp Hyaluronic acid is used. HYAcorp HA is tested BSE free. It is of non-animal origin. Patients from around the world travel to the UK to get the buttock enhancement done with the help of HYACorp treatment. Hyacorp is known to remove irregularities on the surface of the skin. This treatment can improve the appearance of surgical scars. This treatment’s duration is from 12 to 24 months. A lot of women and men want to improve the appearance of their body in a natural way without any main surgical procedure. The process involved in HYAcorp is short and there is only a requirement of local anesthesia. HYAcorp has been approved for restoration of volume and to shape surfaces of the body. HYAcorp production is due to Hyaluronic acid. It is BDDE free and endotoxin with a concentration of protein. What the video below to learn all about this amazing MLF2 HYAcorp product.